Four times a year, during school holidays, AFRICAN BUSH TRAINING hosts FGASA endorsed JUNIOR RANGERS COURSES that was specially designed to establish a connection and ignite a passion for wildlife in the hearts and souls of young people. 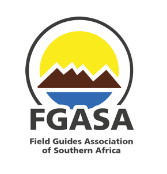 Course participants will be presented with a full-colour course manual and workbook which needs to be worked trough and completed during the course of the week to be awarded with a FGASA Junior Nature Guide Certificate on the last day. The JUNIOR RANGERS COURSE is an absolute must for every child to experience as it provides for a learning experience and positive developmental opportunity for children that cannot be matched by anything else in the world.